I just received this press release and thought it was worth featuring here. The Smitheerns have released several Beatles tributes this decade, and the New Jersey outfit's approach with The Who's 1969 rock opera looks promising. 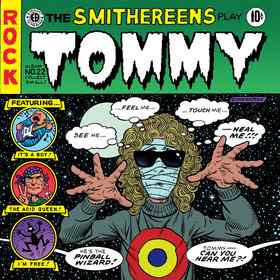 Pop legends The Smithereens are set to release "The Smithereens Play Tommy," a tribute to the landmark rock opera by The Who, on May 5, 2009. The band is also currently in rehearsals with 12 new tracks for its upcoming new studio album, due later in 2009. Whether it was The Who or The Kinks that created the very first "Rock Opera," or whether "TOMMY" is even an "Opera" at all, the May 23, 1969 release of the double "Tommy" album was a true landmark in rock history. Who fans had already been galvanized by the album's first single, "Pinball Wizard," released in March of '69 and already a huge hit. But critics and fans alike were unprepared for what they would hear on the album. Meticulously arranged and produced in the studio, the album's sound shocked many Who fans who were expecting that familiar power guitar sound made famous by songs like "Substitute," "Can't Explain," or even the electrified version of "Summertime Blues" that The Who debuted on their celebrated 1968 tour. Instead, Pete Townshend played mainly acoustic guitars, and the album featured multiple overdubs including keyboards, percussion, French horn and other parts. Listening to the album now, even the remastered version of the album sounds somewhat brittle, thin and theatrical. When asked about this album, The Smithereens frontman Pat DiNizio stated, "This is punk rock opera meets the godfathers of pop. Plain and simple." The Smithereens decided to make a proper, all-out studio version of one of the albums that inspired their rock dreams of becoming a band in the first place for this 40th anniversary tribute. The Who's unique sound will never be duplicated, but then again neither will The Smithereens' sound that has made them enduring rock icons over the past 25 plus years. The result is part Who, part Smithereens. Part totally familiar, and part unexpectedly unique... and 100% tour de force. The Smithereens' "musical dreams ain't quite what they seem" -- the result is more than a loving tribute and much more like an inspired re-imagining. After listening to this album a few times, you may never hear any of The Who's versions of Tommy the same way again. Having released 7 albums -- and reaching Gold and Platinum status along the way -- during their career, The Smithereens spawned several Top 40 radio hits, including, "A Girl Like You," "Too Much Passion," "Blood and Roses" and more. Look for the new studio albumin Fall 2009! 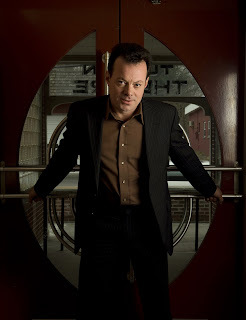 James Hunter will perform at The Coach House on March 25, 2009. If you haven't heard of singer-songwriter James Hunter, you have now. And plan on hearing plenty more about the singer-songwriter in the years ahead. Songs such as "Don't Do Me No Favours," "The Hard Way" and "Carina" explode out of the speakers, recalling greats such as Sam Cooke, Ray Charles and Bobby "Blue" Bland. Hunter spent two decades playing under the commercial radar, typically appearing in small venues in his native England, looking for an audience. With the release of his album "People Gonna Talk" in March 2006, the world has opened its ears to Hunter's infectious retro-minded style of soulful blues. "People Gonna Talk" was nominated for Best Traditional Blues Album of the Year at the Grammy Awards. His artistry drew additional attention with the release of his 2008 disc, "The Hard Way." The past three years, Hunter and his band have performed on bills with the likes of Los Lonely Boys, Aretha Franklin, Van Morrison and Boz Scaggs. Blending New Orleans R&B, Philadelphia soul and old time rock 'n' roll against a backdrop of Motown-flavored horn blasts, Hunter's authentic approach outdistances fellow British soul seekers Amy Winehouse, Joss Stone and Corinne Bailey Rae. And the fact that Hunter can tear it up on guitar is sonic icing on the musical cake. Hunter has gone from an opening act to a headliner, and he will perform next Wednesday, March 25, 2009 at The Coach House in San Juan Capistrano. Orange County singer-songwriter-guitarist Michael Ubaldini will open the show. Singer-songwriter Ryan Shaw will also appear on the bill. Laurence Juber will perform in Dana Point on March 13 and in Mission Viejo on March 14. When a musician is in a band with Paul McCartney, it’s natural to assume that even the most talented of artists will have a difficult time emerging from the long shadow of the former Beatle. But don’t tell that to Laurence Juber. A member of Paul McCartney and Wings in the late 1970s and early ‘80s, the East London, England native is widely recognized as one of today’s most talented and innovative fingerstyle guitarists. Juber won a Best Rock Instrumental Grammy for the track “Rockestra” (featured on Wings’ 1979 album “Back to the Egg”), and picked up a second Grammy when his solo guitar arrangement of “The Pink Panther Theme” was featured on Solid Air Records’ “Henry Mancini – Pink Guitar” collection in 2004. “The gratifying thing is that people have paid attention and the process to me has been just really doing what comes naturally,” said Juber, when I interviewed him at the NAMM music show in Anaheim on Jan. 15, 2009. He has released more than a dozen full-length discs since his debut “Solo Flight” was released in 1990. Juber said his success in the niche world of solo acoustic guitar is a credit to more than virtuoso skills on his instrument, but to the efforts of Seal Beach-based Solid Air Records president James Jensen to help introduce and promote this type of music to a wider audience. Juber returns to Orange County to perform twice this month as part of the Lord of the Strings concert series. He will play at the Dana Point Community House on March 13 and at the Mission Viejo Civic Center on March 14. Juber is on tour in support of his latest solo album, the aptly-titled “Pop Goes Guitar.” The 12-song collection features dazzling versions of material by the likes of the Beach Boys, the Police, the Rolling Stones, the Fab Four and Wings all arranged for solo guitar. “Well, the trick is to squeeze it all on the guitar, because with a tune like ‘Every Breath You Take’ for example, it has an intricate Andy Summers guitar line on it and then the (vocal) melody sits on top,” Juber explained. The genesis of the recording of “Pop Goes Guitar” actually was launched when Juber set out to publish a book featuring his original arrangements. “One of the weird things about the music publishing business…the Beatles stuff is very restricted. So we’ve been trying to get a deal to put out a book of my Beatles arrangements,” explained Juber, who not only performed with McCartney but also played guitar with George Harrison on his song “Breath Away From Heaven,” and with Harrison and Ringo Starr on the sessions for “Stop And Smell The Roses” in 1981. Juber then began compiling a list of all of his favorite pop songs and then gave that to the respective publishers to see which ones he could get permission to include in his book, and ultimately on the companion “Pop Goes Guitar” album. Juber is looking forward to his two upcoming Lord of the Strings concert dates, which will mark his first shows in Orange County since appearing at the NAMM music conference in Anaheim in January. “I think the shows that I’m doing this year; the rock musician part of me has been a little bit sublimated in that I’ve been doing shows that are more structured. There is not a lot of improvisation,” Juber said. This story was originally published in the Capistrano Valley News on Thursday, March 5, 2009. Anyone who caught the reggae festival featuring the Wailers, Eek-A-Mouse and Pato Banton at the Pacific Amphitheatre in Costa Mesa last summer knows the best artist of the night was the night’s opener. Banton and his Mystic Roots Band delivered a dazzling concert set, highlighted by “Stay Positive” and other original songs. Now the native of Birmingham, England, returns to Orange County when he headlines at The Coach House in San Juan Capistrano on Sunday, March 8, 2009. Those who enjoyed his brief 35-minute set in July 2008 will now get to see Banton deliver a full-length set. Not only does Banton’s music revolve around positive themes, but his songs are memorable and recall the infectious sonic brew of reggae-minded artists such as the English Beat and General Public that found widespread success in the 1980s. Banton first rose to fame in the early 1980s, when he was featured on “Hip-Hop Lyrical Robot” and “King Step” on UB40’s 1985 “Baggariddim” album. He also found acclaim in the rock universe when he teamed up with Pretenders singer Chrissie Hynde on a cover of “I Got You Babe.” That single reached No. 1 in the United Kingdom. 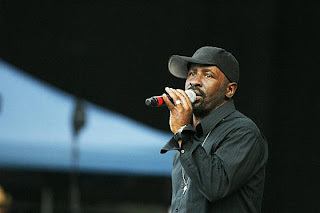 When he performs at The Coach House, Banton will likely feature recent material from his “Positive Vibrations” (2007) and “Destination Paradise” (2008) CDs.